Flexibility on a budget. 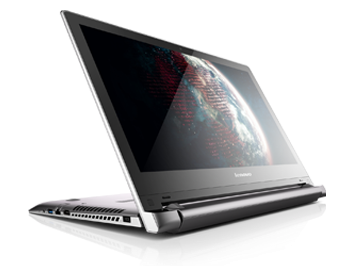 Lenovo's expansive Flex lineup continues with the updated 15.6-inch model in time for the back-to-school season. We check out both the chassis and performance to see if this inexpensive touchscreen notebook is an improvement over first generation Flex models. With the 15" Flex 2, Lenovo has made a slightly better machine than the original Flex. The display is a tad better and has higher resolution, but still has a way to go. It's also nice to have a DVD drive this time around. On the whole, the Flex 2 is a decent, enjoyable laptop for productivity and lightweight multimedia usage, aided in part by its handy "stand" mode. The Flex 2 holds some appeal to people on a budget who want a portable with a good-sized display for limited travel (perhaps a home-to-office commute) and routine business tasks. Real travelers should seek out a laptop with better battery life, 5GHz Wi-Fi, and a better display. The biggest plus, of course, is the flexibility to flip the system into stand mode when the mood strikes you. This big-screen laptop has a trick or two up its sleeve to make it more useful than a typical desktop replacement. And the price is surprisingly affordable. If you happen to use your laptop frequently for watching video, the Lenovo Flex 2 design can be useful for setting it down on a table or lap for easy watching. The high resolution display is also great because of its wide viewing angles and bright colors. While it may not be as flexible at the convertible Yoga, it is much more affordable and offers a DVD burner that many systems are dropping. With its affordable, under-$700 price and abundance of handy features, including touch capability, the Lenovo Flex 2 succeeds in reaching the sweet spot for a desktop-replacement laptop. Because of its size, you'll likely keep this system in a semi-permanent place (preferably near a power outlet), which means the relatively short battery life isn't that big of a deal. It's fast for general and multimedia tasks, and is an effective entertainment PC, with its high-resolution display and DVD drive. The Lenovo Flex 2 (15-inch) replaces the Dell Latitude 13 Education Series as our Editors' Choice for entry-level desktop-replacement laptops. For $600, the Lenovo Flex 2 gives you dependable performance, a smattering of handy apps and a crisp, 1080p display. You'll also get very loud (albeit harsh) speakers and a comfy keyboard. However, the battery doesn't last as long as I'd like on a charge, and while stand mode is nice, a hybrid without a tablet mode feels incomplete. No one should buy the Lenovo Flex 2 15 because of its trick hinge. Yes, getting the keyboard out of the touchscreen’s way can be useful, but it’s a minor convenience we think many owners will try once and promptly forget about. Windows 8.1 isn’t a great touch operating system, so using the touchscreen alone is rarely practical. As a budget machine, the Lenovo Flex 2 15 offers some very big pluses where many others falter. Users won't find many other $700 transforming notebook options, let alone ones with a 1080p screen. The Acer Aspire R7 comes closest with it's head turning design. If you can find the room in your budget and still want a transforming notebook, I highly suggest getting a Lenovo Yoga 2 Pro instead. The build quality is leagues better, and while the 13-inch screen is smaller, it sports a much higher 3,200 x 1,800 resolution.